If one has to choose a colour for 2018 it would clearly be a mélange of rainbow shades because that’s so haute right now — both on and off runway. 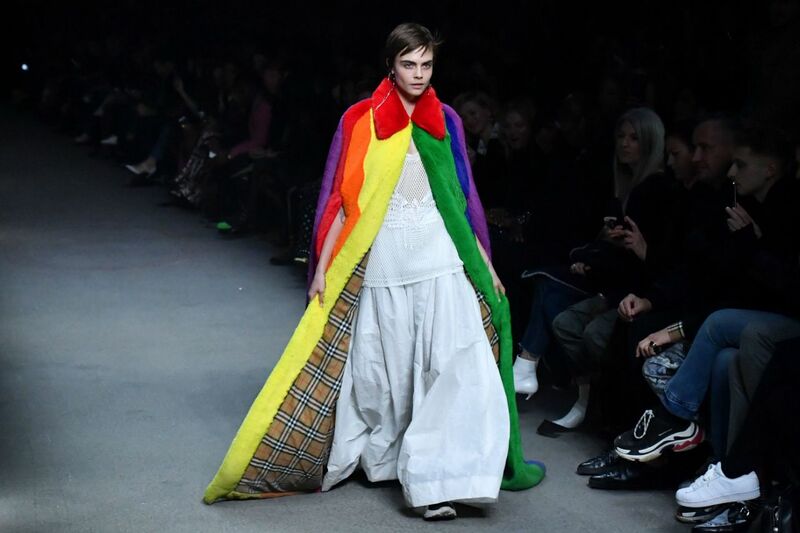 From brands like Alexander McQueen, Alexander Wang, Karl Lagerfeld, and Gianni Versace in fashion to beauty giants like Sephora, Dior, Huda Beauty etc have also come out with special collections that celebrate the sparkling and rainbow shades of pride fashion. If you are wondering how to slay the rainbow shades and wear it with pride this season, follow these simple rules and shine on. 1. Wearing rainbow colours can be tricky but if worn the right way, it can make an impactful statement. A rainbow scarf over a white outfit or a belt in the same colours over a plain white tee and jeans, or vertical-striped comfy pants in multi-colours are a few of many ways to work rainbow colours without looking like a clown. 2. The bright colours of rainbow trend and the over-the-top glitter is actually a symbolic representation of love winning over the years of struggle and pain that the LGBTQ community faced in all these years. Wearing rainbow shades is not easy, but if you look at Paul Smith multi-coloured stripes or Burberry’s rainbow check interpretation for Fall/Winter it would come across as the most stylish trend for this season. 3. Wear a multi-coloured top with dull pants, or just get a rainbow coloured hemline on a plain outfit or blazer to look trendy. Check out the traditional leheriya saris and tie-and-dye crafts or the Gujarati mirror work – you’ll always find rainbow shades shinning out. 4. Rainbow colours must be pair with neutral shades or white with minimum accessories. The best way to work rainbow trends will be it to not go overboard with it. For example, if you wear a rainbow shirt then pair it with a solid bottom. Or if you are wearing a rainbow coloured dress than keep the accessory neutral. The pride fashion is all about expression, and everyone has a right to express freely so go ahead and add the seven shades of optimism in your wardrobe to make a statement.